I’m fortunate to have a tremendously hard working and talented group of guys that have chosen to work with me at Dauntless. I think most of them are more intelligent than me and combined that really gives us an ability to do great things. In a previous post, I mentioned you need to force yourself to do things you don’t like sometimes. There will always be parts of life and business that are less fun than others and you need to do those things. Some things are like broccoli – you might not like them but they’re good for you. But when the main aspect of your job can be something you actually enjoy, you can work without it feeling like work. I’m not from a small town but my Mom was and she always said that it rubbed off on me. I love driving up and down the freeways and visiting the communities that make up the backbone of America. Getting to do outreach work and campaigns gives me the opportunity to do something many people might dread, but that’s one of my favorite things to do. 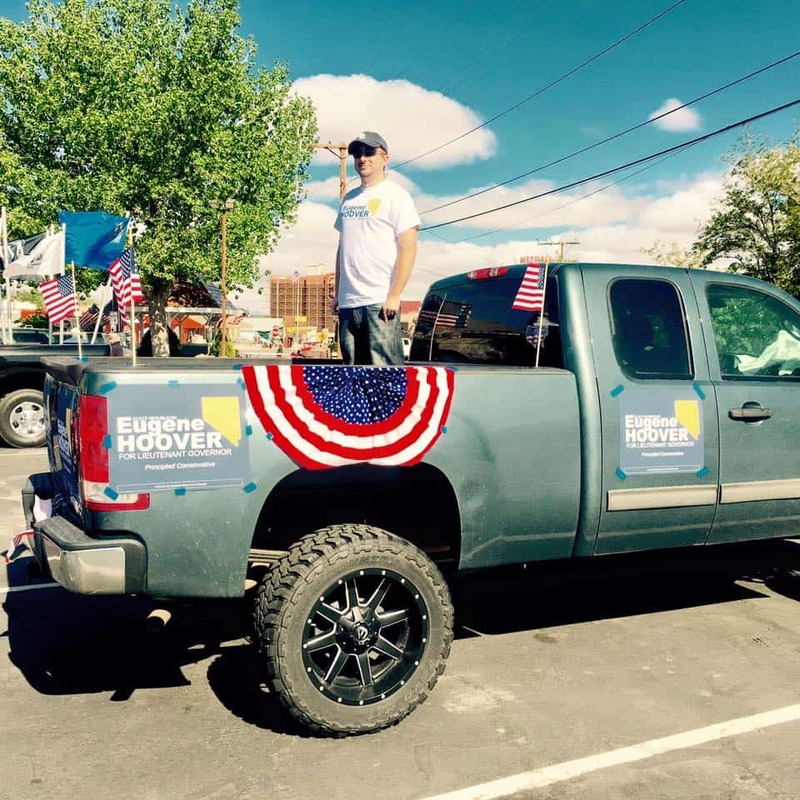 Recently, I had the opportunity to participate in a small town parade in the rural Nevada town of Tonopah (that’s what I’m getting ready to do in the picture). It was one of the most fun experiences I’ve ever had and the whole time John Mellencamp’s song “Small Town” was playing in my head! I’ve always found communicating directly is the best way to resolve differences or at the very least gain a better understanding. The jury may still be out on whether the President’s decision to talk directly with Kim Jong Un was actually a good idea, but as of the moment it looks like we’re making progress toward peace in Korea that has evaded us for many years. Many truckers know that a top “scientist” at the California Air Resources Board falsified his credentials. This individual authored a study that was used as the basis for state regulations that are the most extreme in the country and have put many truckers out of business. However, the legitimacy of the policy will forever be in question because as it would turn out the individual who authored the study earned his PhD from a non-existent university. He simply bought it online. Don’t be like that guy! Getting an education from a credible source helps you maximize your ability to do a good job and, while degrees aren’t everything, having legitimate credentials helps other people have confidence in your work. Click here to read Part I for five more things that will help you be more successful.